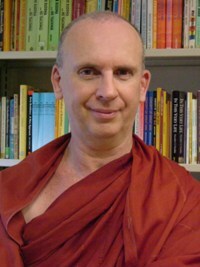 dhamma musings: Which Of The Four Am I? 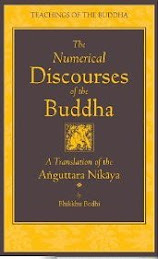 This is a typical example of the profundity of so many of the Buddha’s discourses. He starts by pointing out the obvious – that some people think of no one but themselves – and then he calls into question a commonly held assumption – that to help others and not yourself, being totally self-sacrificing, is the most noble thing you can do. This point can give rise to some very interesting thoughts and considerations. As can the words ‘for the good’. And with his usual skill the Buddha rounds it all up with a most appealing analogy, the extracting of the essence of lovely, creamy, warm, nourishing milk. Just one point. 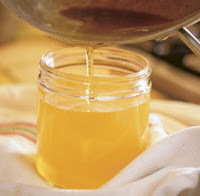 What is the skimming of ghee (sappimanda)? When you make ghee you will notice little bits of butter milk, water and maybe one or two cows’ hairs or dirt in the bottom. When you skim off the golden-colored ghee leaving this residue behind, that is the skimming of ghee. 166. Let one not neglect one's own welfare for the sake of another, however great. Clearly understanding one's own welfare, let one be intent upon the good. It is NOT egotism! First you solve the Problem for yourself (and find out what «yourself» is — an illusion) and then only it becomes clear how to help others. It is the same as Jesus said: «When you cast the beam out of your own eye, then you will see clearly to cast the mote from your brother's eye.” (St. Thomas' Gospel). 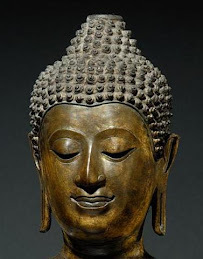 The Buddha sent on separate teaching missions only those of his disciples, who have reached Enlightenment. For only then it becomes perfectly natural to feel perfect love and compassion for others. Does Gautama ever explain his reasoning why it is better to be concerned for oneself at the expense of others rather than the reverse? I would have thought this fit pretty uncomfortably with both teachings on metta and teachings on non-self. One needs to be careful and not read into statements things that are not there. Neither in this quote or anywhere else that I know of does the Buddha say that we should be concerned for ourselves AT THE EXPENCE of others. He says that one who helps others and not himself is not as laudable as one who helps both himself and others. I imagine he is might be talking about those who try to promote their faith while failing to practice it themselves, those who are convinced that they are helping when all they are doing in interfering, those who’s ‘help’ is actually self-promotion, those who ‘help’ with ulterior motives, etc. Dear S.Dhammika, still there is a sort of contradiction between the quotation you presented and the verse from Dhammapada. The first one looks like a general statement on ethical values — it considers various motivations in people's lives and suggests that a truly virtuous behaviour is the balance of care of yourself and care of others. This is sensible indeed and addressed to the world at large. 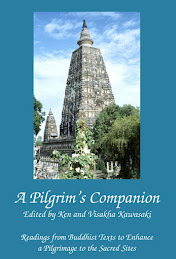 But the one from Dhammapada is addressed to people who strive for liberation, who are on the Path. It does not deny the importance of metta, I am sure, but underlines the basic aim — to reach liberation, which is done «by oneself». 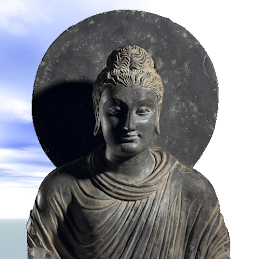 Metta, just as generosity and wisdom is the necessary part of it helping oneself to overcome egoistic attitudes. But the emphasis is on the motivation. First you MUST liberate yourself and then your MAIN concern will be liberating others. And at that later stage it will be EXCLUSIVELY the care for others. As «you» and «yourself» will simply be not there. Sorry, for showering my comments but the subject is really interesting and important. As any generalisation the quotation in the original post simplifies things. It doesn't cover real-life situations, when we are faced with a difficult choice. Sometimes we have to choose whether to mind our own interests or act in the interest of others ignoring or jeopardising our own ones. Can you find some text in Tipitaka which deals with such situations. I know that in Jatakas the future Buddha sacrificed his own body to save tiger cubs. In that case his own interest was in being true to his choice of Boddhisattva way, which again means that his motivation was ultimately in his own interest, wasn't it?